Everybody needs it, but not everybody has the time to shop around to make sure they're getting the best deal for them, whether at home or for their business. Of course, we're talking about energy! That's why Access1st has partnered with one of Australia’s largest independent energy brokers, Make It Cheaper, to help members save money on their business or residential energy rates. 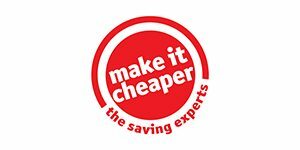 Make It Cheaper offers a free, quick, and easy bill comparison service across all types of electricity and gas accounts including small to medium businesses, commercial, industrial and household. They have been successfully able to identify lower prices for 4 out of 5 customers* through their full comparison service against a panel of leading energy retailers. Customers have been able to save hundreds, sometimes even thousands of dollars per year on electricity costs. You can take the Make it Cheaper bill comparison here.